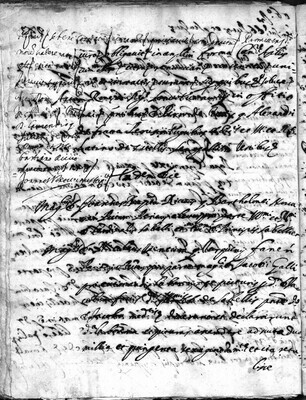 The document is the marginalia of the act of December 22, 1621. 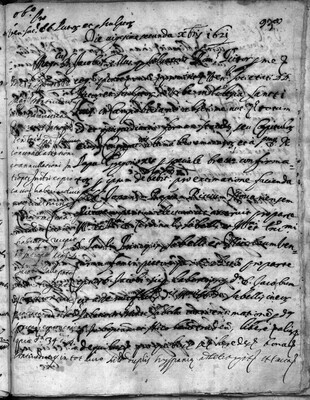 Antiveduto Gramatica, treasurer of the Società di San Luca, gives his consent to the annulment of the act. He receives 34 scudi from Giacomo Galli, and gives quittance. quae scuta 34 dictus D.
Antivedutus in tot auro […] duplis hyspaniae ad se traxit etc. et tracta etc. alias etc. et ità tactis etc. In offitio mei etc. Presentibus etc.